Since early September 2013, I’ve been working on and off on my Numenera campaign, The Paranoid Automaton, and I’m glad to say the first draft of the project is done. It’s a milestone for me since I’ve never attempted to write something like this before. My past fantasy RPG games have been played pretty loose and short where I know in my head where it all starts and how it all ends, some broad ideas of NPCs, and the stats for the antagonists. I’ve never laid it all down before in detail and created a campaign this large (or weird), so I’m pretty excited about this process. I’m planning to have three to four drafts of the campaign before I decide to jump in or not to the big step, which is publication. Whether it be in PDF format or in print, I’m still looking into what that would entail which means more research. I’m hoping for the campaign to be completely done by the summer of 2014, and if I do decide to publish, it would be spring of 2015. If I don’t publish, I will release the campaign using my site or another. 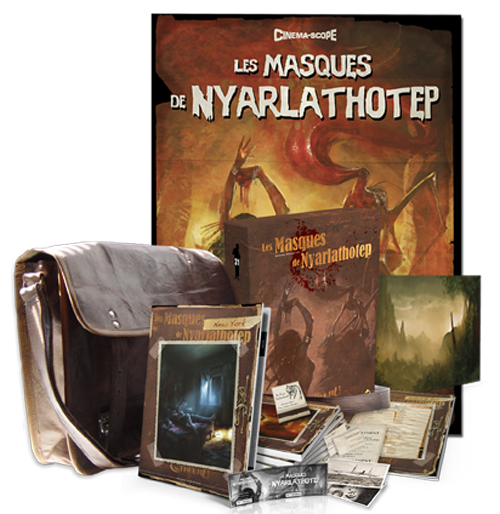 Although, my ultimate dream would be to have The Paranoid Automaton as a boxed set, but that’s a whole other subject and one that I just recently thought of after seeing what a French company did in 2012 with the Call of Cthulhu adventure Masks of Nyarlathotep. With the second draft, I’m planning to flesh out more aspects of the campaign, such as expanding descriptions of some of the encounters & locales, adding more NPCs, giving more weird/strange attributes to some of the more straightforward parts of the game and editing what I’ve got so far. I figure the 2nd draft will be the longest time I will spend working on the campaign, with the following drafts focused on editing. Research will also play a part during production, especially when it comes to further understanding the writing formats in RPG books. I will continue to playtest the game, as I have learned a lot from those sessions about what to do and what not to do.I’ve been lucky to have groups give their feedback on different parts of the game that I’ve run them through to get an idea of what works and what needs more refinement. Now onto the 2nd draft!